TMB is proud to present yet another exclusive scoop. 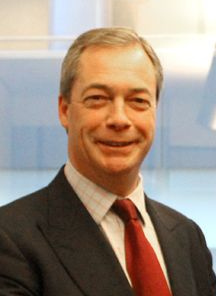 In the wake of several high-profile Tory defections to Ukip, Nigel Farage has written an open letter to the Conservative party, inviting them to throw off their shackles and join him – a letter only we have been given permission to print! This is for those of you who don’t want to end up speaking Czechoslavakian and answering to an EU-installed puppet chieftain called Adolf Lenin!!!!!!!!!!!!!!!!!!!!!!!!!!!!!!!! Once I found a spoon. It was partially buried in a garden, and there were nettles and I stung my tongue and the inside of my eyelid trying to get the spoon. Cheese. Not smelly continental garbage that you wouldn’t give to a sick dog- that looks like it came from a sick dog. No, I am talking CHEESE. The Red Leicester! The Double Gloucester! The redoubtable Cheddar! If you won’t join Ukip for Vera Lynn and Churchill, do it for cheese. Vera Lynn and Churchill. Ok, so they’re dead. Actually, maybe they aren’t. I talked to Churchill for a whole morning once and discovered after all that it was just my shoe! But if you won’t do it for the cheese, do it for them. Sometimes I cry in the shed for hours. Then I laugh. Then I cry again. The National Anthem. Listen to this, listen: ‘Duh duh Duh DUUUHHHH Duh DUH…’. Doesn’t it make your boy-bits stand upright in tumescent jingoism? Messy. I saw a willy once. It wasn’t mine. Chickens don’t have anuses, and when their poo comes out it’s like an egg, and if you cook it it’s even more like an egg, but a cooked one. Lemons are yellow, and so are crayons and Chinkies, but you can’t say Chinkies anymore. Brown people aren’t painted, you know, they can’t scrub it away. Sometimes when I use a comb little flakes of my head come off and they are white. They taste nice. So, in conclusion, switch to Ukip: the only party with the will to build a ruddy great wall along the entire coast of the UK!!!!!!!!!!!!!!! Posted on September 30, 2014 at 10:53 am in Politics, Satire, Society	| RSS feed You can	trackback	from your own site.